A medium size Hawkfish that get about 6 inches or so. 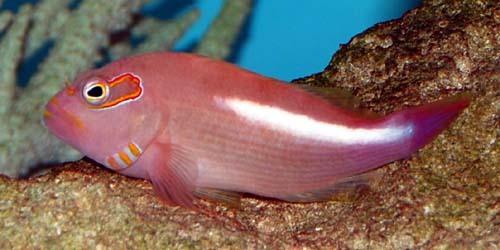 Like all hawkfish, it likes to sit on rocks and corals waiting for food to come by. It may eat small fish, shrimp, and invertebrates.